The development of Agricultural Machinery, with the national and rural economic conditions have a direct link. In economically developed countries, especially in the agricultural labor force in the United States, rarely agricultural machinery to large, wide, high speed and the direction of high productivity, and on the basis of realizing mechanization gradually transition to a production process automation. 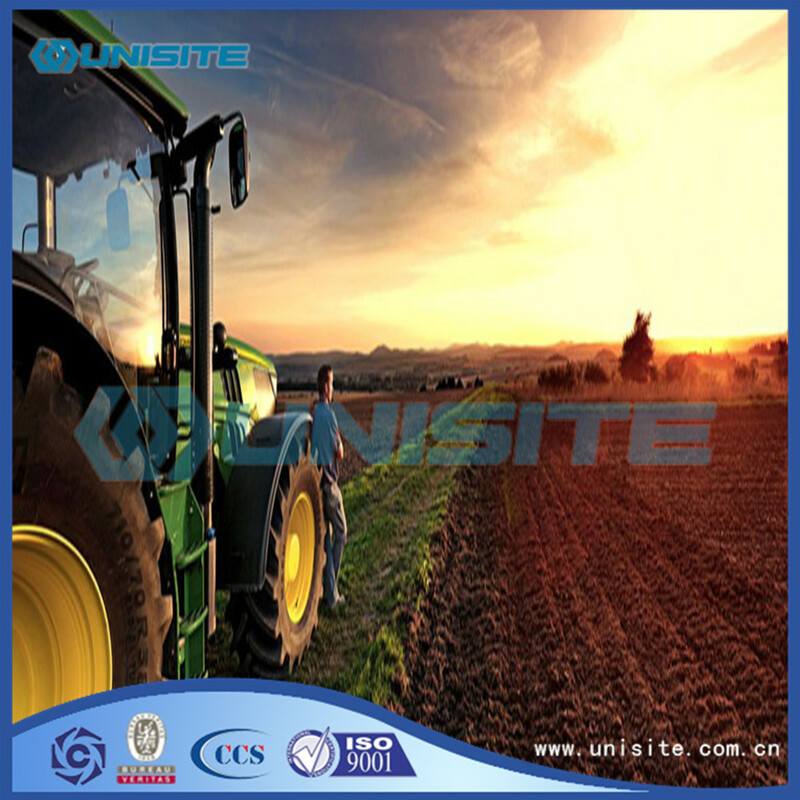 Electronic technology, microcomputer technology and other advanced science and technology, in the design and manufacture of agricultural machinery products and get increasingly extensive application. Soil tillage machinery turn the tillage, loose and broken or deep loosening and breaking soil mechanical to the soil, including birch plow, disc plough, chisel plough and rotary cultivator and other. Soil tillage is the most commonly used machine. Its main component is the plow, plow a ploughshare etc.. The working surface of the plough share and the plough wall is smooth, continuous plough body surface, the shape and parameters according to different soil and tillage requirements to select and traveling speed and the unit. The plow surface have different soil tillage, soil crushing and stubble covered with weeds etc.. Figure 1 for the hanging of paddy field six plough China series plow in the south. At the beginning of 80s the amplitude modulation plough is a great breakthrough in the traditional structure of the plow. The amplitude modulation degree of AM plough is changed by changing the angle between the main beam and the forward direction of the machine. Plow is a special form of mouldboard plow, with left turn and right turn two groups of plough body (ordinary plough are right turn plough), or with a turn direction can transform a group of plow body, the plow in the cultivation of round trip are to rollover soil, tillage surface without leaving the ditch ridge. This is often used to plough slope, irrigation and small and irregular land ploughing operation. Working parts of disc plow and the vertical plane is approximately 20 degrees angle, a concave disk 40 degrees to 50 degrees angle and direction. When working, disc in the soil anti force under the effect of rotating forward, from the disc edge cut of the furrow along the concave surface rises and turns and falls. Disk plow can chopped dry hard lumps, cutting roots and small roots. It is suitable for stone, grass and wet clayey soil and high-yielding green manure straw returning to the field after ploughing operation, but in general soil conditions, the turning over the soil, soil crushing and coverage performance are not as good as mouldboard plough. Its working parts is 1 ~ 3 column with rigid shovel column chisel shovel, farmland soil without turning the soil, tilled soil surface with stubble mulch can reduce soil erosion, applicable in arid, rocky and soil and water erosion of soil tillage. The depth of tillage is generally 30 cm, and the maximum tillage depth can reach 75 to 45 cm when the soil is improved in the arid land. Working parts of rotary tillage knife roller is in a horizontal axis according to the multiple thread uniform configuration of a set of cutting soil blade. By the tractor power output shaft through the transmission device driver, the rotary cutting soil and soil crushing, exercise can achieve seed bed preparation requirements. It is mainly used in paddy field, vegetable field and orchard farming. Soil tillage machinery including surface tillage machinery, roller and harrow, toothed harrow cultivator etc..
Concave disk configured by the arrangement of a group. The disc edge plane perpendicular to the ground, a slip angle and direction (operation). 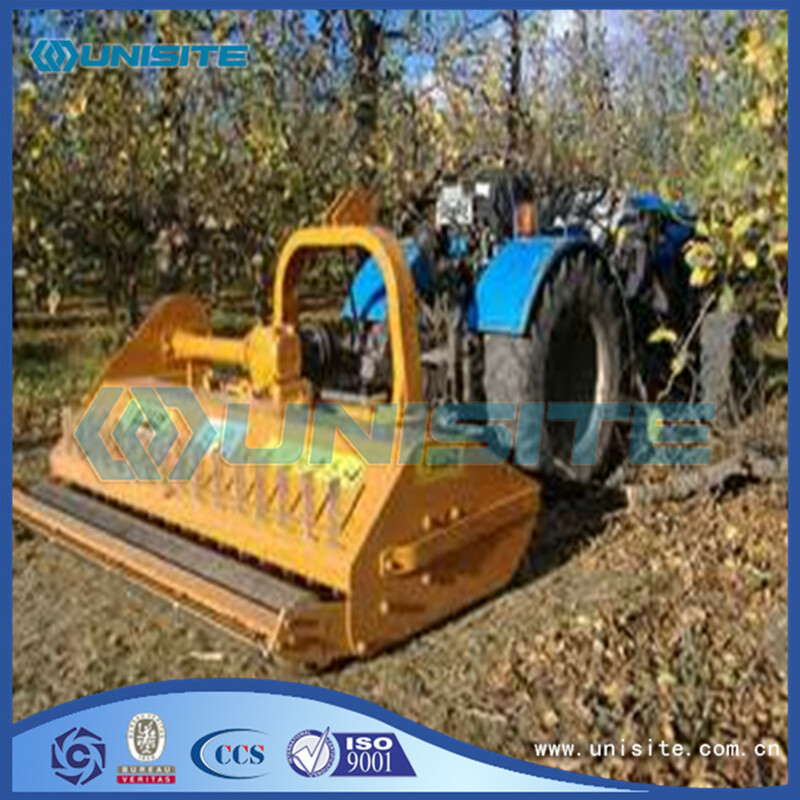 It is used to break the soil smooth, after tillage after harvest the tiller and orchard weeding and other operations. Component is equidistant spacing configuration in the harrow frame of a plurality of rows of spike tooth, for loosing the farmland soil, broken after the rain, the surface of shell and crop seedling weeding operations. Before and after by the group disc harrow, harrow group, star harrow and rolling roll and other parts is configured for paddy field tillage soil crushing, smooth operation. According to different regions and soil conditions, the use of these components can be combined into different forms of paddy rake. 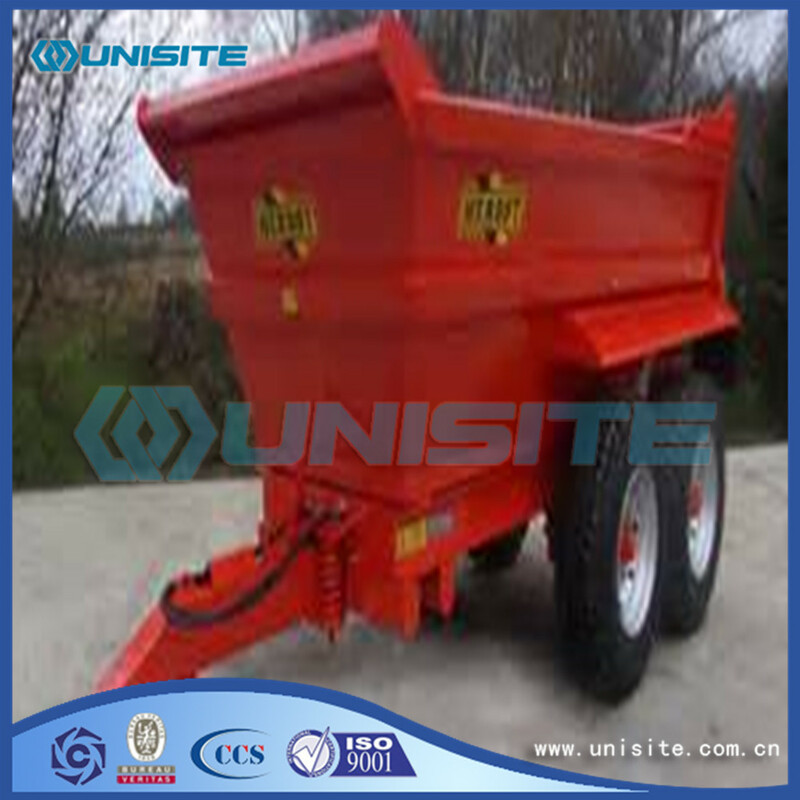 Used for the surface soil and compaction work after the rake or after sowing. The repression wheel has a cylindrical shape, an annular or V shape, etc., and the working time is sheathed on the wheel shaft. For crop growth period of tillage, weeding, ditching and ridging and operation, the common components are weeding shovel, shovel, general shovel and a ridging device. The installation device in fertilization cultivator, which can be applied in weeding and fertilizer. The paddy field cultivator can use human hand tooth roller type paddy field cultivator, or powered weeding wheel paddy cultivator. Combined tillage machine can be completed once the basic soil tillage and surface tillage and harrow - cultivated land. 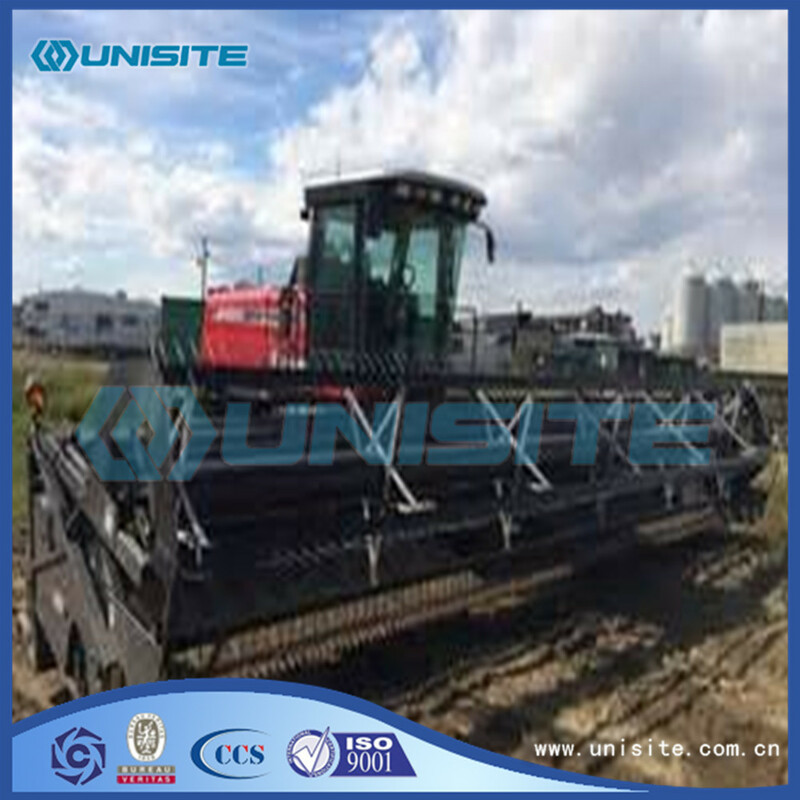 Can be in the form of two different types of equipment combination, such as mouldboard plough - tined harrow, moldboard plough and rotary cultivator and other; can also be a combination of two different parts, composed of mouldboard plough body and the vertical shaft rotary parts of plough. Plough and cultivator often work with the component can automatically avoid the trunk and automatic reset device. In addition to a small area of soil around the trunk, while tillage fruit row between plants and soil. Looking for ideal Agricultural Steel Equipment Manufacturer & supplier ? We have a wide selection at great prices to help you get creative. All the Agricultural Steel Equipments are quality guaranteed. We are China Origin Factory of Agricultural Steel Equipment for Sale. If you have any question, please feel free to contact us.